Do you want to get a good idea of the possibilities open to you regarding the space, product, finishes and the cost before you commit? The solution is our design consultation. We will visit you at your property, understand your vision and preferences, make verbal recommendations, advise on the palette and product choices. If you require scaled design drawings and visuals these come at an additional cost. 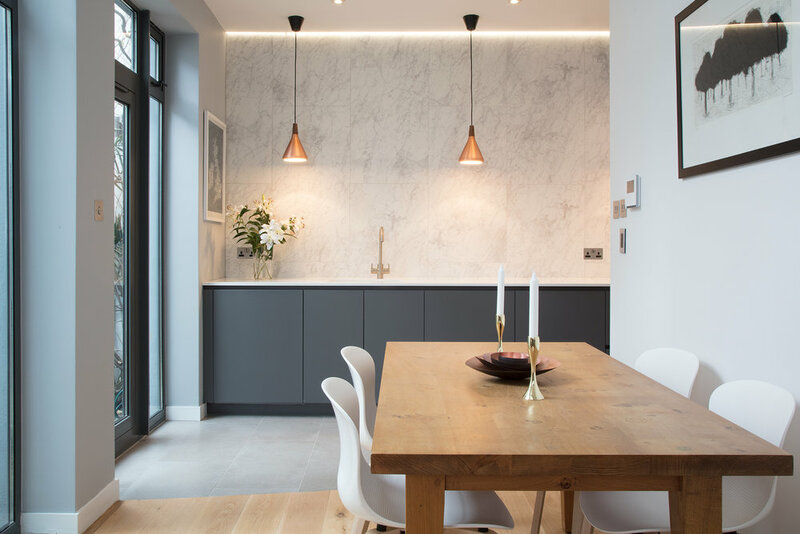 We will design your home or an investment property, taking you on a journey which starts with discovering details of the project you have in mind, through the mood boards and technical design phase to full project management and furnishing. We have our own team of professional builders and craftsmen for all of our projects. It is essential to have a team that you can trust and rely on 100%. If you already have appointed a builder, but don't have the time to keep an eye on your project and want peace of mind that the project is running on time and budget, we can provide you with a complete project management service.